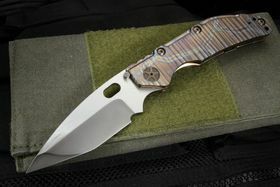 Duane Dwyer's selection of Strider knives combines quality and style, so you can have both without making a sacrifice. Strider is devoted solely to developing and constructing edged tools made for use in the harshest conditions. 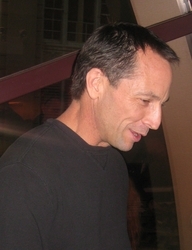 Strider was originally founded by former military personnel. 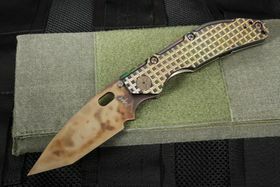 The goal was to make the finest knife possible at an affordable price. 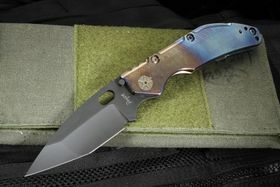 Many of the company's knives are drawn from customers' specific design requirements. 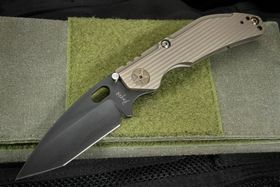 Popular models include Strider PT, Strider SNG and Strider SMF. 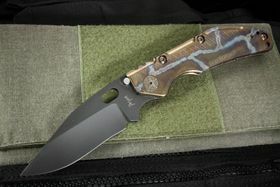 Strider Knives' background allows it to be tailored to the needs of particular clientele, including soldiers, special operations, law enforcement, hunting and commercial diving. 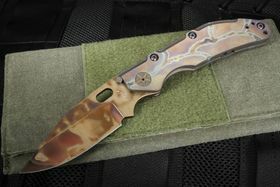 KnifeArt offers a rare selection of Dwyer custom knives you won't be able to find elsewhere. They are made of the finest materials, including Damascus steel, carbon fiber and titanium. Every element is taken into account when these knives are made. From the seasoned outdoor veteran to the dedicated knife collector, all can enjoy these great Duane Dwyer knives available for sale.